In 1986, Juliana Chan opened Juliana's Chinese Kitchen, a small cafeteria style restaurant in Ponchatoula . Although she was trained in Hong Kong in the art of Chinese cooking, she realized that she could not handle the demand for her delicious cuisine on her own . Shortly thereafter, Chef An Lam (Andrew) was brought into the family . His devoted work ethic and extraordinary cooking ability made him a tremendous addition and an irreplaceable asset. Soon Juliana gave up her apron, moved out of the kitchen and into the dining room where she could entertain her customers as only she knows how . Her unique brand of charm, wit, and sincerity make her a focal point of any conversation. Six months Later , sensing a change was needed, Juliana converted Juliana's Chinese Kitchen to a full service Chinese restaurant . The response was overwhelming . So much so that plans were begun to build a larger restaurant to be located in Hammond . 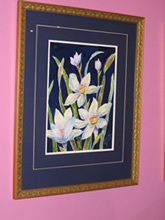 Its name - China Lotus. In September 1989, China Lotus was christened. It was a unique concept in Chinese dining that broke away from the typical Chinese restaurant that America was use to. 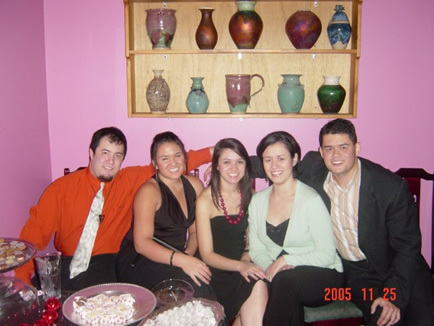 It employed a softer color scheme that provided a sense of calm and comfort - a sharp contrast to the harsh red and gold decor of most "Americanized" Chinese restaurants . Another stereotype that China Lotus sought to change was that a Chinese restaurant had to serve their entrees on a buffet to succeed . You won't find a buffet here . The reason - Juliana has a firm belief that truly good food must be prepared only when the customer orders it. The quality of any food erodes as it sits on a buffet resulting in dry food that has lost its delicate flavor . When the flavor dissipates, the customer loses what they paid for in the first place. Because of that belief, you will never find a buffet in China Lotus, only freshly prepared food of the highest quality. As the years progressed, Juliana's five children began to become integral parts of the business . Garrick began working in the kitchen in 1990 and learned its operations from Andrew. After graduating with a degree in business, he moved into a managerial position . Justin began working in 1994 and is Andrew's hard working right hand man in the kitchen . Chanrina began waiting tables in 1995 and has been happily serving customers with her bubbly personality ever since . Julina began working in 2000 and has blossomed into an impressive waitress . The youngest, Richina was born one year before the first restaurant opened and was literally raised in the business . She has been enthusiastically serving customers since she started working in 1997 (Actually, she began busing table since she was an infant!) . 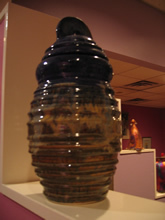 In 1996, Juliana began studying the art of pottery . 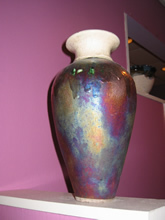 Her skill and love for the art was obvious and became a lovely complement to the food served here at China Lotus . 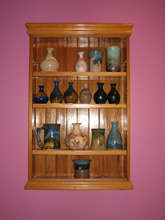 You will notice her pottery and watercolor paintings adorning the shelves and walls of the restaurant . While you are waiting for your order, feel free to walk around and admire her works . If you are feeling adventurous, why not purchase one for yourself or as a gift for a friend . 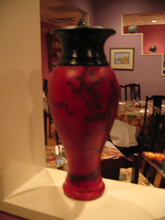 Art has become our theme at China Lotus - from our gourmet cuisine, to our pottery and watercolors, we take great pleasure in preparing everything for you as carefully and artistically as we can . We would like to thank you for choosing to dine with us today and we hope you enjoy your visit to China Lotus - "Where cooking becomes art" .